Need A Photobooth For Your Next Party? Rest assured, when it comes to photo booth rentals, you’ve come to the right place! 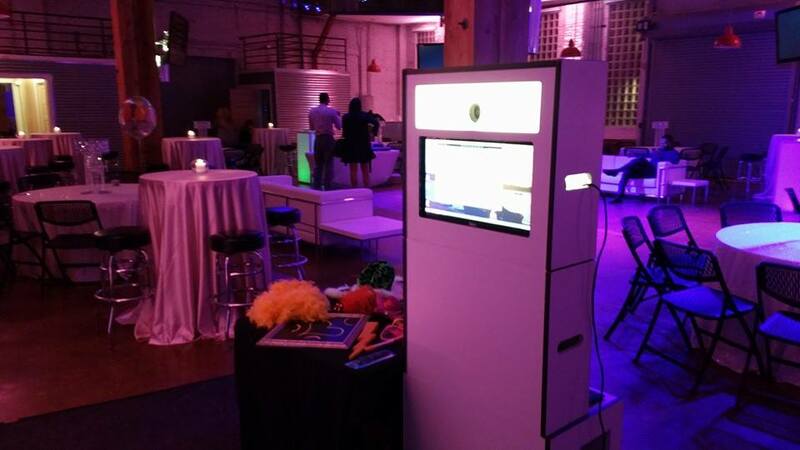 Whether you’re hosting 20 people or 5,000 people, you won’t find a more experienced photo booth rental company in Denver, Boulder or the entire Colorado. I business since 2007, Event Resource Center has provided photo booth rentals and event rental services for just about every type of event, every theme, and every venue you can imagine. We Have the Party Photo Booths You’re Looking For! With over 5 photo booths and thousands of props to choose from, Event Resource Center’s has a photo booth inventory that is second to none in the Denver, CO market. You can rent your photo booth online or discuss your plans with one of our expert photo booth consultants to learn more about all the various rental options available to you. We can help you capture and print unlimited photos and entertain your guest so that people remember your event for years to come, with all the photo strip prints and photo booth props you could think of – and you can even wrap our photo booths with your own brand or we can design you a custom backdrop so that you bring your brand alive at any event. We know how important your event is to you. The last thing that should happen is for your party to suffer because all factors weren’t considered during the event planning process. Not to worry… we’ve got you all covered! We’ll start by taking the time to understand all the details of your photo booth rental from how you want your photo strips to look and feel, To exactly when and where we need to set the photo booth up. We even ask if you have a sponsor logo to add to the strip. A whole heap of props to choose from. Once we understand your vision, we’ll help you to choose the right photo booth props to include with your photo booth rental. And with a warehouse overflowing with every prop imaginable, we’re sure to find exactly what you need to make your event and your theme a success. We’ll call you a few days before the event too easy your mind and call you again the day of the event to let you know we are packed and on our way to the event. Our team is dedicated to making sure not even the smallest details fall through the cracks. No matter what department is assisting you at any given moment, we all work under the same Core Values. You can have peace of mind knowing that our entire team has your back and access to the details of your event. Whether this is your first photo booth rental or you have hundreds of events under your belt, our experienced staff/photoboothers are standing by and ready to support and guide you through the rental process. We have loads of essential Photo Booth information that will help inform and inspire your Photo Booth Rental choices. No matter what type of event you’re planning, you can rest assured that Event Resource Center has been there and done that – probably more than any party rental company or photo booth rental company in Colorado. Whether for a small gathering, large scale gala, weddings, holiday party, birthday party, graduation party, you name it our Photo Booth Rentals are only limited by your vision and imagination. Just tell us what you have in mind and we’ll help bring it all together with an open air photo booth, some props and more photo strips than you can imagine, social media sharing. text-2-self features, custom screens, custom prints, custom backdrops, red carpet, attendants, you get it the list goes on and on. Contact us today to discuss reserving a photo booth.